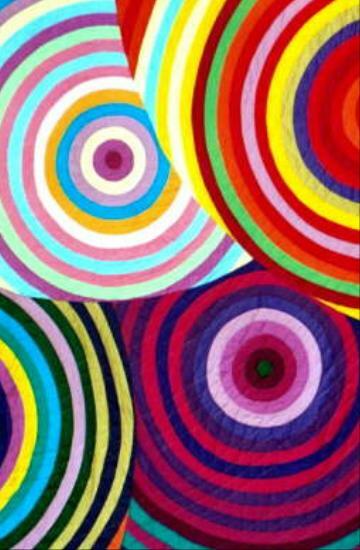 As I was learning about sewing concentric circles a contest was announced in which entrants were invited to use creative designs inspired by a specific work of a "real" visual artist. I had always been inspired by the colored vertical stripe paintings of Gene Davis, like Raspberry Icicle (1967) and Black Popcorn (1965). Gene Davis (1920-1985) painted long canvases with multi-colored vertical stripes. Rather than following an overall plan, each color was chosen as it was applied, ultimately evolving jazz-like patterns. Why not turn the stripes into concentric circles? 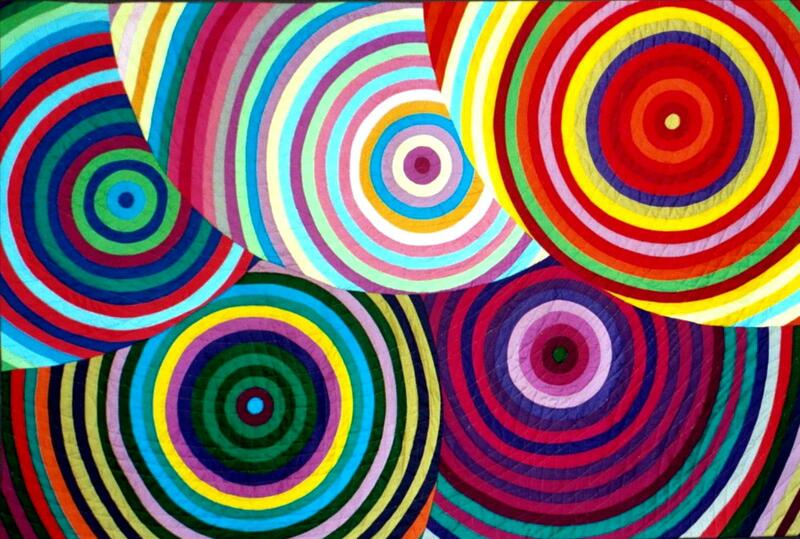 I elected to try this same process, but rather than vertical left to right motion, I tried to capture the same exciting sense of movement in circular color bands from a center to its periphery and back.